I love the first few sips of a nice bourbon or rye straight up. But, after my tongue has been tickled and my throat is warm, I get bored and need something a little more exciting. Enter: the almost neat to messy drink! 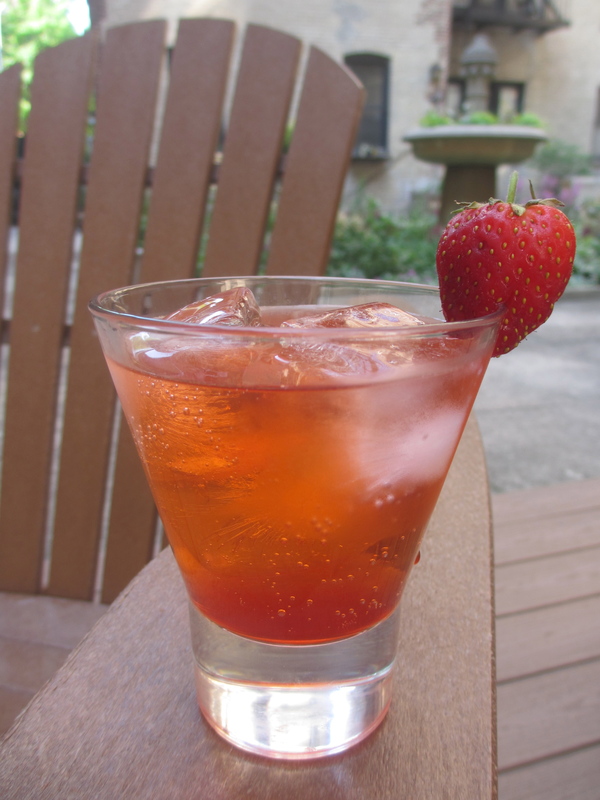 Simply make flavored cubes and pour your libation of choice over the top. The alcohol is chilled ever so slightly for the first few sips then, as the cubes melt, you get a slow release of flavor infusing your drink. To make the drink pictured above, we filled an ice cube tray with fresh apple cider and added two drops of orange bitters to each section, then froze until hard. 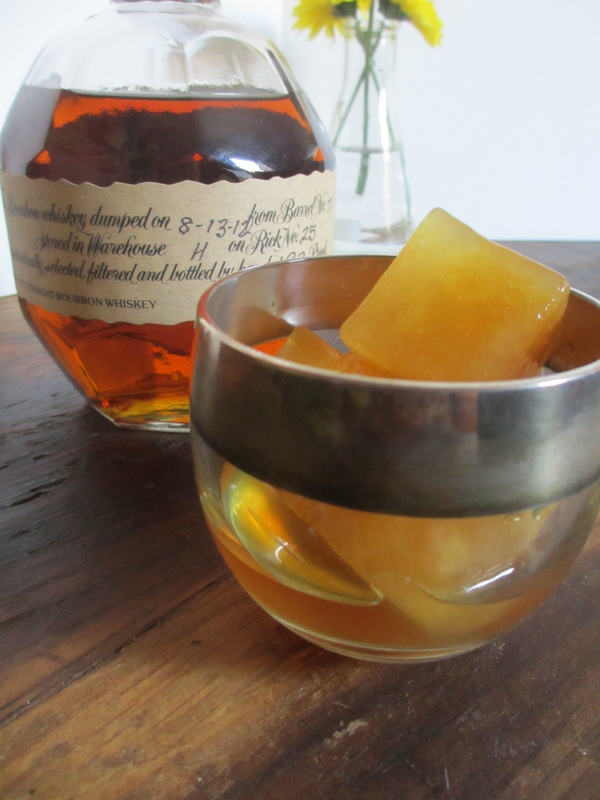 Then we added the cubes to a glass (two for Brian and three for me) and poured a few ounces of Blanton’s over the top. Keep in mind that the more cubes you add to your glass, the more diluted your cocktail will be. Paired with some good company, this simple sipper can’t be beat. I think I’ll have another! SWWU Tip 1: Unfortunately, this idea does take a bit of planning ahead. B and I like to whip of a big batch of cubes and keep them stored in the freezer to use whenever the mood strikes us. SWWU Tip 2: Cider and other juices won’t freeze as quickly or as well as water. Make sure to put your ice cube trays in the coolest part of your freezer for best results.